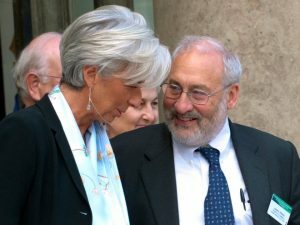 Joseph Stiglitz, the Nobel Prize-winning economist and former adviser to US President Bill Clinton, says the consensus surrounding neoliberal economic thought has come to an end. Speaking with Business Insider after the launch of his latest book, “The Euro: How A Common Currency Threatens the Future of Europe” — which argues that the fundamental flaws with the euro and the broader European economy are causing huge problems for the continent and risk leading to its downfall — Stiglitz argued that neoliberalism, the dominant school of economic thinking in the West for the past 30 years or so, is on its last legs. Since the late 1980s and the so-called Washington Consensus, neoliberalism — essentially the idea that free trade, open markets, privatisation, deregulation, and reductions in government spending designed to increase the role of the private sector are the best ways to boost growth — has dominated the thinking of the world’s biggest economies and international organisations like the International Monetary Fund and the World Bank. 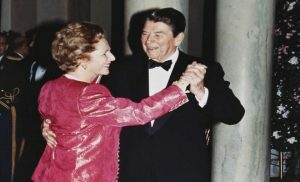 The policies of Ronald Reagan and Clinton in the US and Margaret Thatcher in the UK are often held up as the gold standard of neoliberalism at work, while in recent years in Britain George Osborne and David Cameron’s economic policies continued the neoliberal tradition. Since the 2008 financial crisis, however, there has been a groundswell of opinion in both economic and political circles to suggest that the neoliberal consensus may not be the right way forward for the world. In the past few years, with growth low and inequality rampant, that groundswell has gained traction. Stiglitz, who won a Nobel Memorial Prize in economics in 2001 for his work on information asymmetry, has been one of neoliberalism’s biggest critics in recent years, and he says the “neoliberal euphoria” that has gripped the world since the 1980s is now gone. Asked by Business Insider whether he thought the economic consensus surrounding neoliberalism was coming to an end, Stiglitz argued: “I can talk about this from the point of view of academia or even in policy circles. In academia, I think it has pretty well become rejected. “The young students are not interested in establishing that neoliberalism works — they’re trying to understand where markets fail and what to do about it, with an understanding that the failures are pervasive. That’s true of both micro and macroeconomics. I wouldn’t say it’s everywhere, but I’d say that it’s dominant. Stiglitz went on to argue that one of the central tenets of the neoliberal ideology — the idea that markets function best when left alone and that an unregulated market is the best way to increase economic growth — has now been pretty much disproved. “We’ve gone from a neoliberal euphoria that ‘markets work well almost all the time’ and all we need to do is keep governments on course, to ‘markets don’t work’ and the debate is now about how we get governments to function in ways that can alleviate this,” he said. Stiglitz is not alone in his belief that neoliberalism has its problems, though his argument that the consensus is “dead” is somewhat more forthright than those of many others. In a blog post in May, three economists from the IMF — long one of the greatest champions of the neoliberal consensus — questioned the efficacy of some aspects of it, particularly when it comes to the creation of inequality.